The South Korean auto manufacturer is once again back in the local auto market of Pakistan. KIA Lucky Motors has entered with a long-term investment plan in the country by availing the incentives offered by the Automotive Development Policy (ADP) 2016-21. On the other side, the biggest ever Pakistan Auto Parts Show (PAPS) 2019 is concluding today after a 3-day successful event at Expo Centre, Karachi. The much-anticipated launch of Suzuki Alto was overshadowed by a premium lineup of cars displayed by KIA. Although these cars have not been launched in the country yet but only displayed at the showcase for customer feedback. There were as many as 5 vehicles on display by the South Korean auto giant at the PAPS 2019. Note here that among the above-mentioned vehicles, the company has only launched the MPV Grand Carnival in the country so far. However, KIA plans to launch Sportage in August and Picanto in October this year, respectively. KIA Picanto, in particular, would be a great addition to the local sector as consumers demand more entry level cars from the new entrants. Let’s have a quick look at the cars that stole the PAPS 2019. Stinger is the flagship car of KIA famous around the globe which is powered by a 3.3-litre V6 turbo engine which produces an immense amount of output power of 365 hp. The car is believed to take 4.7 seconds to accelerate from 0-60 mph. Under this powerful turbo engine, it falls in the category of Toyota Crown and BMW 7 Series with a luxurious aircraft-inspired interior and signature steering wheel of KIA. The sleek yet athletic design of Stinger is captivating for the car enthusiasts. The sporty sedan has a lower bed of seating which enhances the connection between the driver and the road. The ultra-soft leather trim inside the powerhouse is synchronized with the metallic accents to give a stunning and prestigious look. The luxury sedan has a series of safety features that help to maneuver the car safely in slippery conditions and on sharp turns. 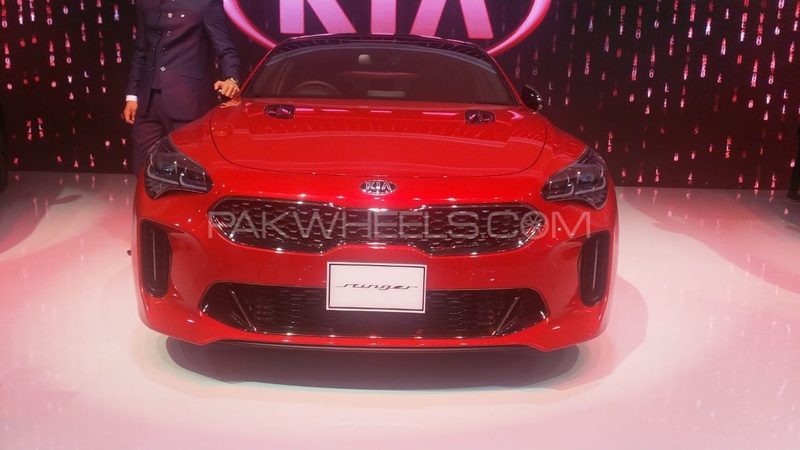 KIA has no plans to introduce it in Pakistan at least for this year. However, it captured the attention of a large community of car enthusiasts at PAPS 2019. KIA Sportage is expected to be launched in Pakistan during August 2019. 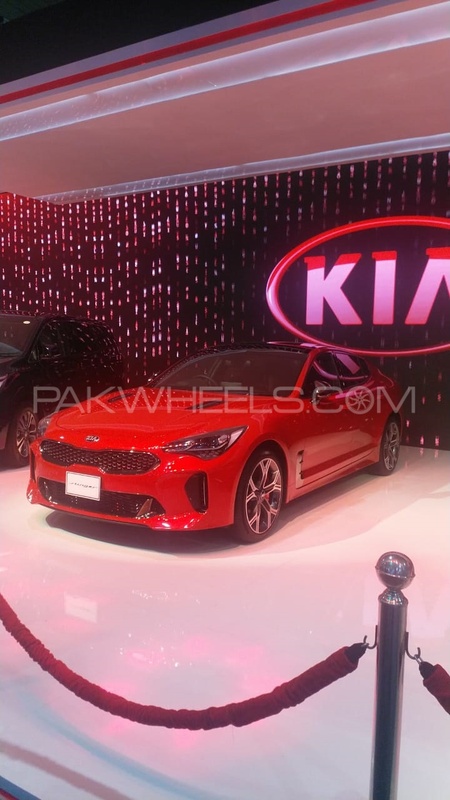 It’s not a new entry in the local industry as it has been previously experienced by the consumers many years ago before KIA put a halt to its partnership with Dewan Motors and wrapped up production in Pakistan. The company is bringing the latest model of Sportage in the country. The SUV comes in either a 1.6-litre petrol engine or 2.0-litre diesel engine mated with 6-speed manual or 7-speed auto dual-clutch transmission. The petrol engine can produce up to 174 hp at 5500 rpm whereas the diesel engine has the capacity of producing 182 hp at 4000 rpm. The compact SUV has a traditional front sporty look with iconic radiator grille under the KIA emblem. The rear side of Sportage seems somehow similar to Toyota’s Fortuner in terms of its rear lamps. The black leather upholstery of the SUV gives it a stunning look from the inside accompanied by a number of entertainment and safety features. However, it would be interesting to see what features KIA includes in the version of Sportage introduced in Pakistan. KIA Picanto is another much-awaited entry-level hatchback in Pakistan. KIA has plans to launch it in October 2019 as a competitor of Suzuki Wagon R, Cultus and FAW V2 in the local segment cars. 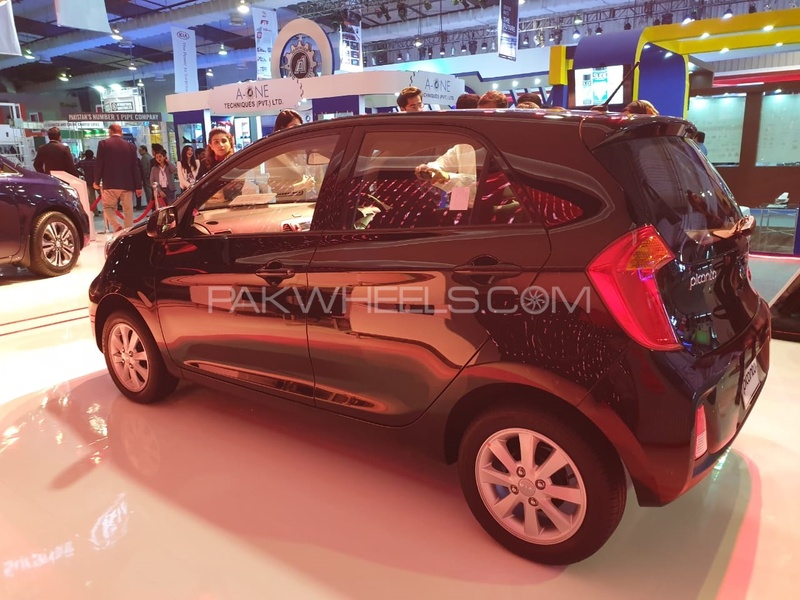 The model displayed at the show is the 2nd generation of Picanto which was launched worldwide back in 2011 and replaced by 3rd generation in 2017. The displayed model is equipped with basic features; however, the automaker intends to launch a much-improved version of Picanto in terms of features. KIA Picanto is offered in 1000 cc displacement engine mated with a 4-speed automatic gearbox. 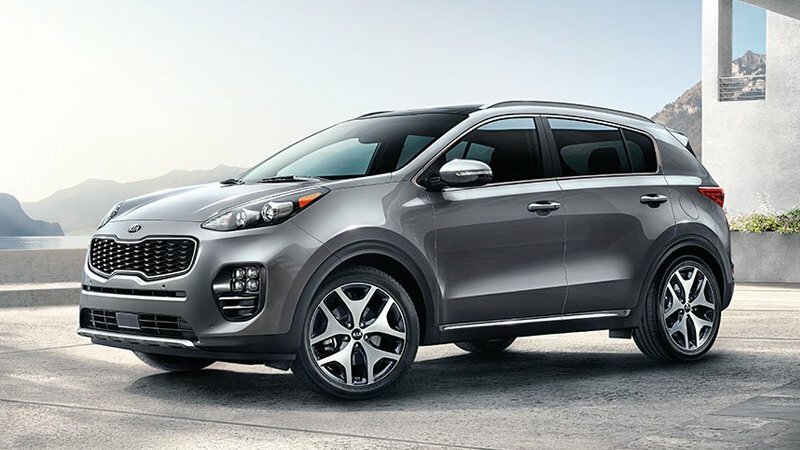 It resembles KIA Sportage from the front with a signature compact tiger-nose radiator grille. 14” inch alloy rims are installed in the car that gives it a much better look. It has several basic features including power steering, power windows (front), a standard entertainment system, analog climate control and most importantly equipped with airbags as a safety feature. Note here that KIA Picanto is also offered in 1200 cc displacement worldwide but the company will be launching 1.0-litre hatchback in the country. 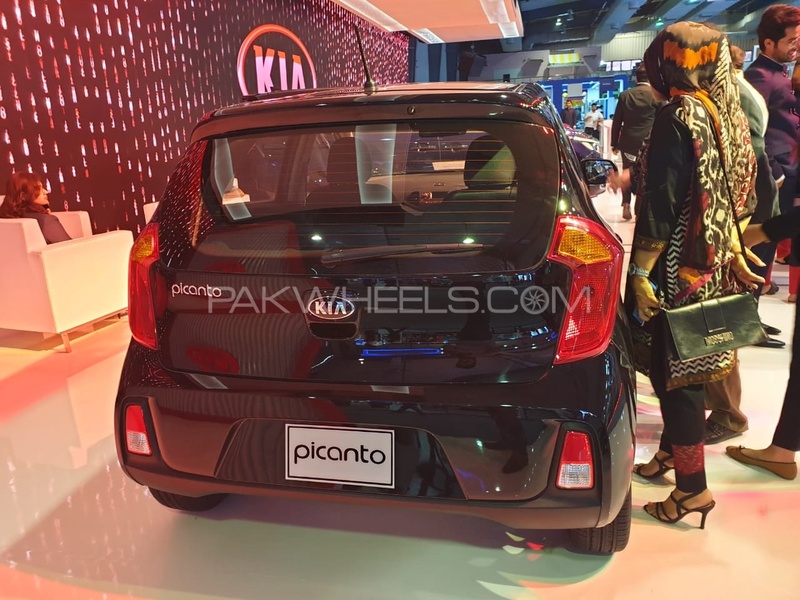 KIA Picanto will be yet another hatchback in Pakistan that will have no spare wheel which is disappointing. 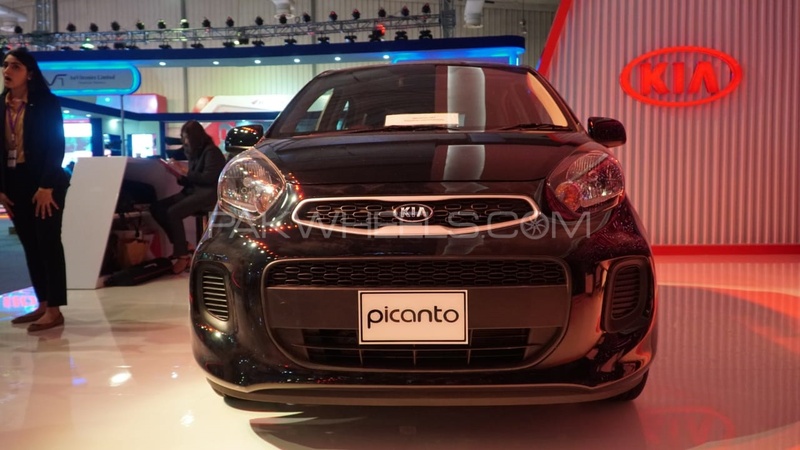 KIA Picanto is expected to launch at an estimated price of Rs.1.2-1.5 million. The compact hatchback will be a welcome addition in the local industry to tear apart the monopoly of Suzuki in the entry-level segment. The car is much-anticipated due to its better build quality than the currently available hatchbacks in the market and expected to provide value for money in the future. 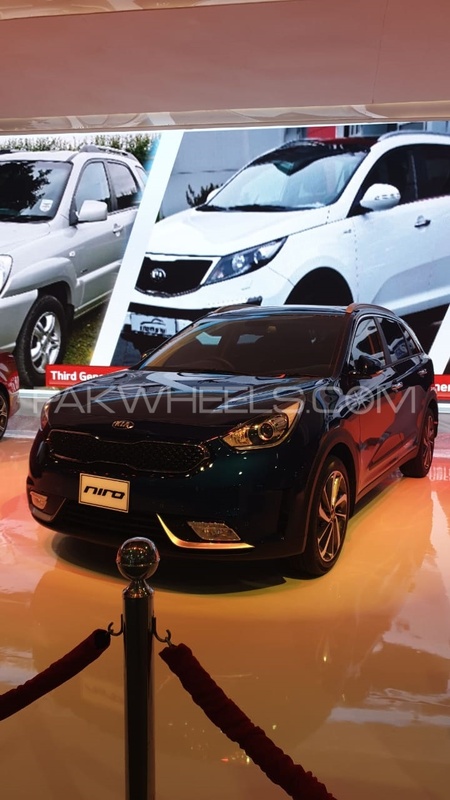 KIA Niro is a plug-in hybrid completely built unit (CBU) of compact SUV displayed at the PAPS 2019. It has a 1.6-litre DOHC 4-cylinder engine that produces 104 hp at 5700 rpm and 264 N m of torque at 4000 rpm. Under a displacement of 1580 cc, the compact SUV is mated with a dual continuously variable valve timing (CVVT) that follows gasoline direct injection (GDI). The electric power is provided by an AC synchronous permanent magnet motor which has the capacity of producing 60 hp at 1800-2500 rpm under a Lithium-Ion polymer battery pack. The dual clutch 6-speed automatic transmission with front-wheel drive mode provides optimum power. The compact SUV largely resembles the MPV Grand Carnival from the rear side. It is also equipped with state of the art modern safety features like EBD, ABS, traction control system (TCS), electronic stability control (ESC), vehicle stability management (VSM), brake assist system (BAS) and hill-start assist control (HAC). It was also a display model at this year’s Auto Parts show. 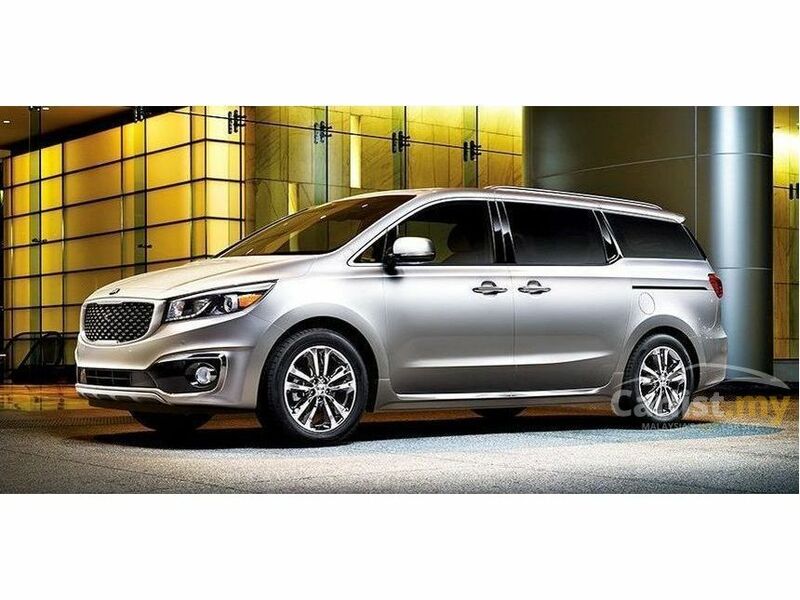 The 11-seater passenger vehicle, KIA Grand Carnival has already been launched in Pakistan but the company decided to display it at the PAPS 2019 for the visitors. It is powered by a 3.3-litre engine coupled with a 6-speed automatic transmission. Its powerful engine can produce a maximum output power of 270 hp at 6400 rpm and 318 N m of torque at 5200 rpm. The MPV has auto-air conditioning system, push-start option and a sliding door button. The tri-zone climate control makes the car customized to the needs of the passengers. The instrument cluster is a 3.5” mono TFT screen which has several real-time parameters displayed. It also features several safety features such as HAC, ESC, HPD, blind-spot detection and parking sensors to help in parking the car safely. The standard version of KIA Grand Carnival is priced at Rs.3,999,000 whereas the high-end version comes at Rs.4,799,000. The company also offers 4 years or 100,000 km warranty, whichever comes first. 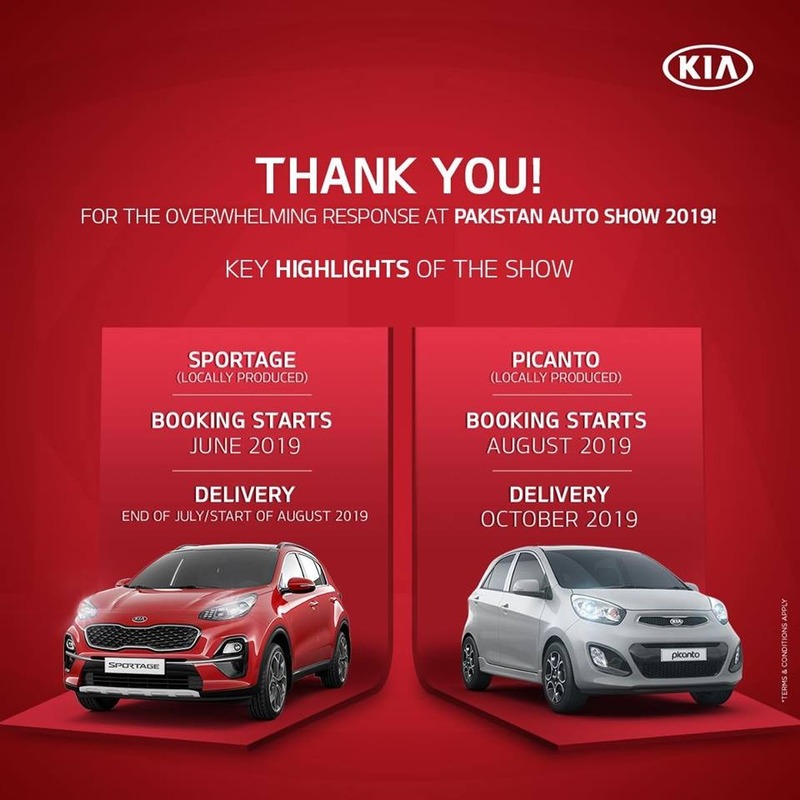 All these KIA cars were the centre of attention at this year’s Pakistan Auto Parts Show. The potential buyers are expecting to get their hands on these cars soon. The general public is also excited to get more options in the local market which have been dominated by Suzuki, Honda, and Toyota for several decades. The South Korean auto manufacturer also needs to focus on the introductory price of Picanto and Sportage as it might act as a make or break point for the company. 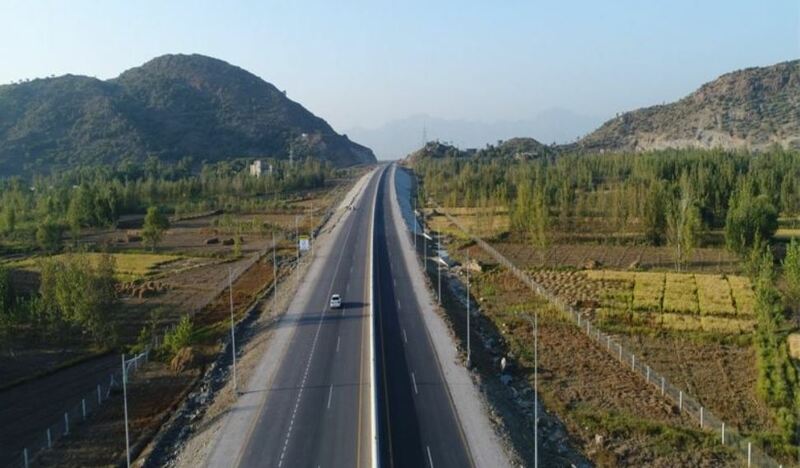 The prices of cars are increasing day by day and the buying power is decreasing significantly in the country where the large proportion of the population belongs to lower-middle or middle class. Let’s wait and see what strategy the company develops for the local auto market of Pakistan. That’s it from our side for now. Stay with PakWheels for all the latest updates on the automobile industry. Drop your thoughts in the comments space below. Apart from being an Electrical Engineer by profession, he is an automotive content writer at PakWheels, a web designer and a photographer.